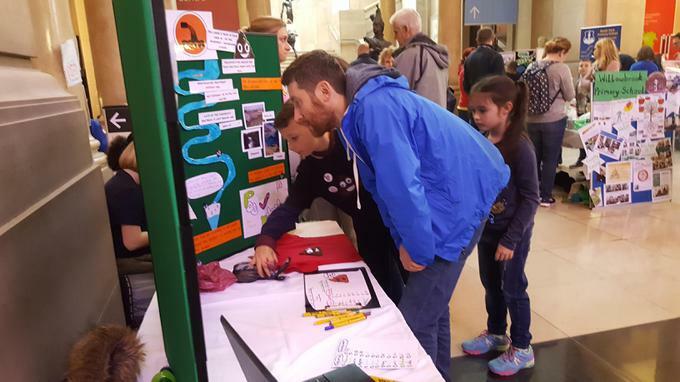 All the hard work paid off this weekend at Cardiff Museum as members of the Eco Committee showed their exhibition to the public. 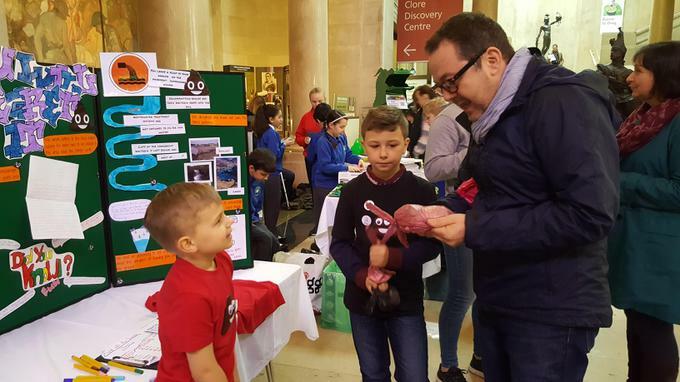 'Poo Patrol' was an absolute hit as many people stopped to find out about the dangers of dog poo and its effects on the environment. 56 people took part in the Poo Patrol spot the poo emoji challenge with 6 getting the answer correct. The film they created was reported as exciting and innovative! 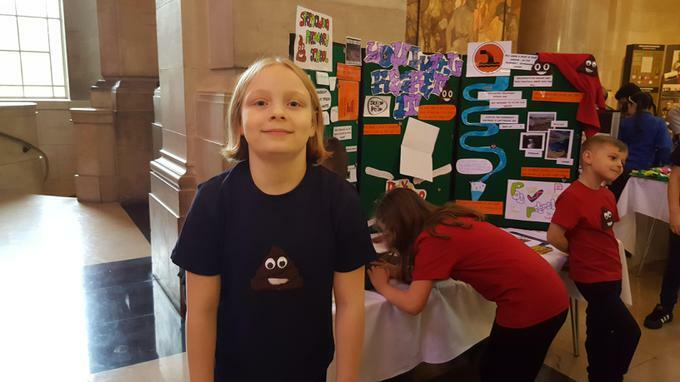 The Eco committee also wore their stylish Poo Patrol t-shirts designed and made with the help of Jess Gow in Crafternoon sessions. Mrs Hoffer, and two of the school governors visited the exhibition and were astounded by the informative and innovative way the children had tackled the taboo subject of waste. Poo Patrol will be showing their exhibition again at St Teilo's High school on Saturday 25th March for a Community Connections day.